It begins at the back of the throat: an inhalation, a movement. Breath carries the past forward with it through shared stories. Like a canoe moves through water rippling the surface, stories of past inform the present, shaping the future. Engaging footage collected from the National Film Board of Canada’s archive, these four filmmakers breathe resilience into vestiges of colonial representation. This screening at Lakeshore Campus is in conversation with Dbaajimowinan: Our Stories, an exhibition related through dance, painting, printmaking, sculpture, song, and beadwork by emerging Indigenous artists at the North Campus. These works were made available through the National Film Board’s CAMPUS Program, which provides educational institutions with a collection of films about major contemporary issues and subjects with accompanying educational resources. Inuk artist Nyla Innuksuk makes films, media art and VR content. Her short film Kajutaijuq premiered at the Toronto International Film Festival and was featured in TIFF’s 2014 Canada’s Top Ten Festival. A graduate of Ryerson University, she has made two films for the NFB’s Stories from Our Land series: Inngiruti: The Thing That Sings! (2012), featuring accordionist Simeonie Keenainak, and Finding Home (2013). 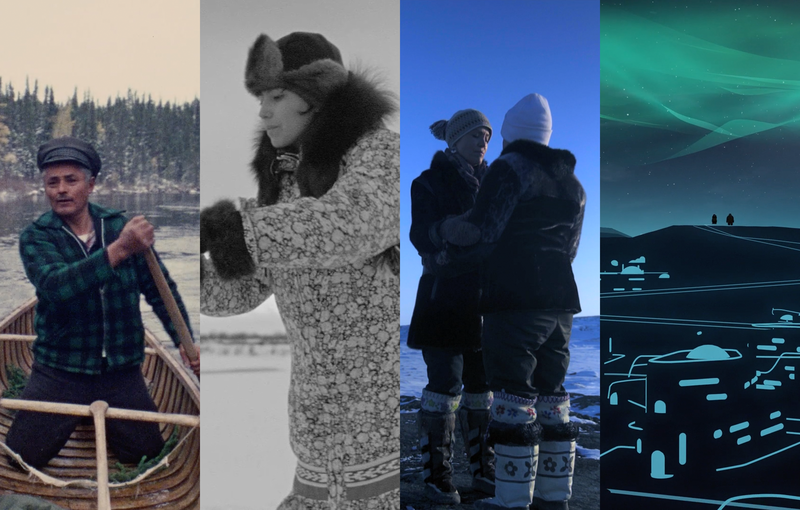 In 2017, Nyla started NKSK, her own VR production company, and became the first artist to be awarded the imagineNATIVE Indigenous VR/AR Residency, where she worked with A Tribe Called Red on their Indian City 360 VR experience as part of the Canada 150 SESQUI project. L Space will be closed December 17th, 2018 - January 6th, 2019 for Humber College's Holiday closure and Thursday, January 17th, 2019.